Chondroitin sulfate is a chemical that is normally found in cartilage around joints in the body. Chondroitin sulfate is usually manufactured from animal sources, such as shark and cow cartilage. Chondroitin sulfate is used for osteoarthritis. It is often used in combination with other ingredients, including manganese ascorbate, glucosamine sulfate, glucosamine hydrochloride, or N-acetyl glucosamine. Chondroitin sulfate is also taken by mouth for HIV/AIDS, heart disease, heart attack, weak bones (osteoporosis), joint pain caused by drugs used to treat breast cancer, acid reflux, high cholesterol, muscle soreness after exercise, a bladder condition called interstitial cystitis, a bone disease called Kashin-Beck disease, and itchy and scaly skin (psoriasis). Chondroitin sulfate is also used in a complex with iron for treating iron-deficiency anemia. Some people with osteoarthritis use ointments or skin creams for pain that contain chondroitin sulfate, in combination with glucosamine sulfate, shark cartilage, and camphor. Some people also inject chondroitin sulfate into the muscles for osteoarthritis. Some people insert chondroitin sulfate into the bladder for urinary tract infections (UTIs), bladder conditions, or loss of control of the bladder. Cataracts. Research shows that injecting a solution that contains chondroitin sulfate and sodium hyaluronate into the eye protects the eye during cataract surgery. Many different products containing chondroitin sulfate and sodium hyaluronate have been reviewed by the U.S. Food and Drug Administration (FDA) for use during cataract surgery. However, it’s not clear if adding chondroitin sulfate to sodium hyaluronate solutions helps reduce pressure within the eye after cataract surgery compared to other similar treatments. Some early studies suggest that a specific eye solution containing chondroitin sulfate and hyaluronate (Viscoat, Alcon Laboratories) can decrease pressure in the eye and improve overall eye health after a cataract is removed. However, the drops do not appear to be better than drops containing hyaluronate alone or another chemical called hydroxypropylmethyl-cellulose. The effect of solutions containing only chondroitin sulfate on cataract surgery is not known. Osteoarthritis. Clinical research on the effectiveness of chondroitin sulfate taken by mouth for osteoarthritis is inconsistent. The reason for contradictory findings is unclear, but could be due to differences in people studied, different products used, or other differences in study design. Overall, the evidence shows that some people with osteoarthritis of the knee or hand may experience pain relief after taking chondroitin sulfate for 3-6 months. But pain relief is likely to be small at best. Other evidence shows that taking chondroitin sulfate for about 2 years might prevent osteoarthritis from becoming worse. Some research has evaluated the effects of chondroitin sulfate when taken by mouth in combination with glucosamine sulfate or glucosamine hydrochloride. Most research shows that taking these combination products for about 3-4 months reduces pain and improves joint function in patients with knee osteoarthritis. But some conflicting evidence exists. Some skin creams containing chondroitin sulfate are promoted for reducing osteoarthritis pain. There is some evidence that a skin cream containing chondroitin sulfate in combination with glucosamine sulfate, shark cartilage, and camphor seems to reduce arthritis symptoms. However, any symptom relief is most likely due to the camphor and not the other ingredients. There is no research showing that chondroitin is absorbed through the skin. Urinary tract infections (UTIs). Early research suggests that administering a specific chondroitin sulfate and hyaluronic acid solution (iAluRil, IBSA Farmaceutici) through a catheter weekly for 4 weeks and then monthly for about 5 months reduces UTIs in women with a history of UTIs. Joint pain caused by breast cancer drugs. Early research suggests that taking a combination of glucosamine sulfate and chondroitin sulfate in two or three divided doses daily for 24 weeks improves joint pain and symptoms caused by drugs used to treat breast cancer. Dry eyes. Research on the effectiveness of chondroitin sulfate on dry eyes is mixed. Early research suggests that using chondroitin sulfate eye drops decreases dry eyes. However, other evidence suggests that eye drops containing chondroitin sulfate are less effective than tear-replacement drops (Gel-Larmes). Other research shows that using a specific eye drop containing chondroitin sulfate together with xanthan gum (PRO-148, Laboratorios Sophia, SA de CV, Guadalajara, Mexico) four times daily for 60 days does not improve tears, but might improve the severity of dry eye symptoms. Muscle soreness after exercise. Early research suggests that taking chondroitin sulfate daily does not reduce muscle soreness after exercise in men. Acid reflux. When taken along with conventional treatments such as antacids, a syrup containing hyaluronic acid and chondroitin sulfate appears to reduce the intensity of acid reflux symptoms. Bladder inflammation (interstitial cystitis). Several low-quality studies suggest that administering chondroitin sulfate solution into the bladder with or without hyaluronic acid can improve symptoms of bladder inflammation. Also, other early research suggests that taking a combination product containing chondroitin sulfate (CystoProtek) by mouth can improve bladder inflammation. However, some higher-quality research shows that inserting chondroitin sulfate into the bladder does not improve symptoms. Bone and joint disease (Kashin-Beck disease). Early research suggests that chondroitin sulfate, with or without glucosamine hydrochloride, can reduce pain in people with Kashin-Beck disease. Also, taking chondroitin sulfate with glucosamine sulfate can slow joint space narrowing in people with this bone disease. However, it is unclear if taking chondroitin sulfate alone slows joint space narrowing. Heart attack. Some early research shows that taking chondroitin sulfate by mouth might lower the risk of having a first or recurrent heart attack. Skin redness and irritation (psoriasis). Early research suggests that taking chondroitin sulfate for 2-3 months decreases pain and improves skin conditions in people with psoriasis. But other research suggests that taking chondroitin sulfate (Condrosan, CS Bio-Active, Bioiberica S.A., Barcelona, Spain) daily for 3 months does not reduce psoriasis severity in people with psoriasis and knee osteoarthritis. Overactive bladder. Early research suggests that inserting sodium chondroitin sulfate into the bladder through a urinary catheter improves quality of life in people with overactive bladder. More evidence is needed to rate chondroitin sulfate for these uses. 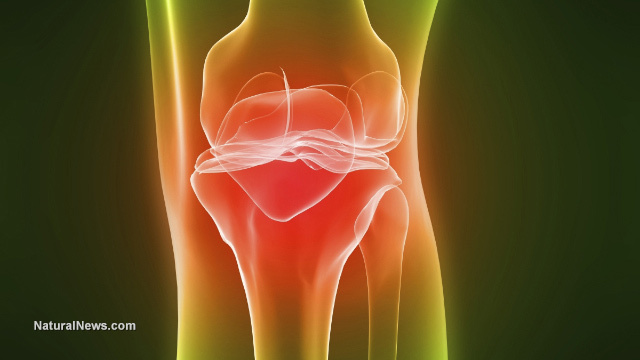 In osteoarthritis, the cartilage in the joints breaks down. Taking chondroitin sulfate, one of the building blocks of cartilage, might slow this breakdown. Chondroitin sulfate is LIKELY SAFE when taken by mouth or used as an eye solution during cataract surgery. Chondroitin sulfate has been taken by mouth safely in research for up to 6 years. Also, chondroitin sulfate has been given premarket approval by the US Food and Drug Administration (FDA) to be used as an eye solution during cataract surgery. But there is some concern about the safety of chondroitin sulfate because it comes from animal sources. Some people are worried that unsafe manufacturing practices might lead to contamination of chondroitin products with diseased animal tissues, including those that might transmit bovine spongiform encephalopathy (mad cow disease). So far, there are no reports of chondroitin causing disease in humans, and the risk is thought to be low. It can cause some mild stomach pain and nausea. Other side effects that have been reported are bloating, diarrhea, constipation, headache, swollen eyelids, leg swelling, hair loss, skin rash, and irregular heartbeat. Some chondroitin products contain excess amounts of manganese. Ask your healthcare professional about reliable brands. Chondroitin sulfate is POSSIBLY SAFE when injected into the muscle short-term, when applied to the skin short-term, when used as an eye drop short-term, and when inserted into the bladder with a catheter by a physician. Pregnancy and breast-feeding: There is not enough reliable information about the safety of taking chondroitin sulfate if you are pregnant or breast feeding. Stay on the safe side and avoid use. Asthma: There is some concern that chondroitin sulfate might make asthma worse. If you have asthma, use chondroitin sulfate cautiously. Blood clotting disorders: In theory, administering chondroitin sulfate might increase the risk of bleeding in people with blood clotting disorders. Prostate cancer: Early research suggests that chondroitin might cause the spread or recurrence of prostate cancer. This effect has not been shown with chondroitin sulfate supplements. However, until more is known, do not take chondroitin sulfate if you have prostate cancer or are at high risk for developing it (you have a brother or father with prostate cancer). Warfarin (Coumadin) is used to slow blood clotting. There are several reports showing that taking chondroitin with glucosamine increases the effect of warfarin (Coumadin) on blood clotting. This can cause bruising and bleeding that can be serious. Don’t take chondroitin if you are taking warfarin (Coumadin). For osteoarthritis: the typical dose of chondroitin sulfate is 800-2000 mg taken as a single dose or in two or three divided doses daily for up to 3 years. For osteoarthritis: a cream containing 50 mg/gram of chondroitin sulfate, 30 mg/gram of glucosamine sulfate, 140 mg/gram of shark cartilage, and 32 mg/gram of camphor has been used as needed for sore joints for up to 8 weeks. For osteoarthritis: chondroitin sulfate (Matrix) has been injected into the muscle daily or twice weekly for 6 months. For urinary tract infections (UTIs): 50 mL of a specific solution containing chondroitin sulfate and hyaluronic acid (iAluRil, IBSA Farmaceutici), has been inserted into the bladder once weekly for 4 weeks, and then once or twice monthly for up to 5 months. For cataracts: Several different eye drops containing sodium hyaluronate and chondroitin sulfate (DisCoVisc, Alcon Laboratories; Viscoat, Alcon Laboratories; DuoVisc, Alcon Laboratories; Viscoat, Alcon Laboratories; Provisc, Alcon Laboratories) have been used during cataract surgery. Volpi N. Quality of different chondroitin sulfate preparations in relation to their therapeutic activity. J Pharm Pharmacol 2009;61:1271-80. View abstract. Lauder RM. Chondroitin sulphate: a complex molecule with potential impacts on a wide range of biological systems. Complement Ther Med 2009;17:56-62. View abstract. Barnhill JG, Fye CL, Williams DW, Reda DJ, Harris CL, Clegg DO. Chondroitin product selection for the glucosamine/chondroitin arthritis intervention trial. J Am Pharm Assoc 2006;46:14-24. View abstract. Zegels B, Crozes P, Uebelhart D, Bruyère O, Reginster JY. Equivalence of a single dose (1200 mg) compared to a three-time a day dose (400 mg) of chondroitin 4&6 sulfate in patients with knee osteoarthritis. Results of a randomized double blind placebo controlled study. Osteoarthritis Cartilage 2013;21:22-7. View abstract. The beauty of the body is that it has several feedback mechanisms to alert you that something is going wrong. We often call this feedback a “symptom”, and rather than valuing it and seeking to remedy the imbalance, we often set out to destroy the mechanism that provides that signal. This is equivalent to shorting a circuit to the smoke detector so we aren’t annoyed by the sound while the fire burns. If you truly want to eliminate chronic pain, there are some foundational requirements that need to be followed. In addition to that, one needs to be aware of natural painkillers that can provide relief while making the transition to a lifestyle devoid of physical pain. Together, they can help you eliminate chronic pain in 2015. You want to completely eliminate the following foods for at least 60-90 days. Each of these foods are heavily implicated as contributors to chronic pain due to their toxin load or the fact that they are hard on the digestive system. In addition to these foods, avoid EMF’s, chronic stress, mercury (in dental fillings and vaccines), drinking from plastic containers, and heavily polluted outdoor and indoor environments. This is certainly not a complete list, but it is a great core list of foods to incorporate for most people who suffer from chronic pain. In addition to these foods, be sure to get grounded, get plenty of vitamin D and EFA’s, curb your stress, and spend more time in fresh air. During your transition to a pain-free lifestyle, it is important to consider a plan with your physician that can reduce and eliminate your need for prescriptions and medications. Fortunately, there are several natural painkillers that can reduce and eliminate inflammation, especially when combined with the food and lifestyle factors above. It is important to understand that chronic pain can be due to a large variety of factors, but following these recommendations will provide you with an approach to systemically reduce chronic pain so you can enjoy a happier and healthier 2015. For a list of some of the best natural pain relievers and how to get a great start in the new year, check out 3 Natural Pain Relievers That Are As Powerful As Drugs Without the Side Effects.